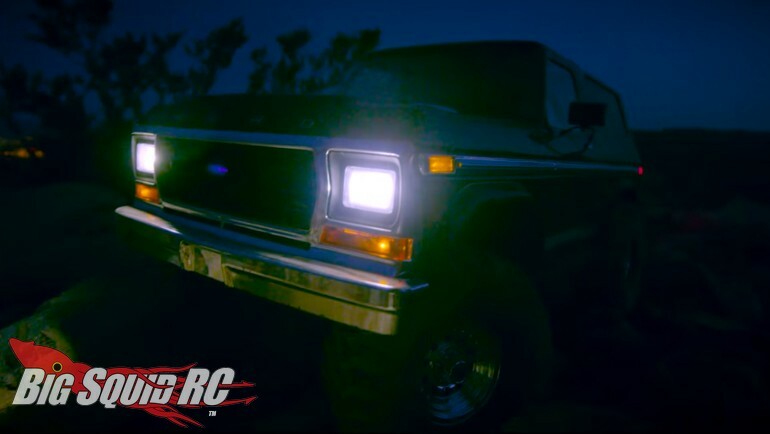 Video – New TRX-4 Bronco Light Kit From Traxxas « Big Squid RC – RC Car and Truck News, Reviews, Videos, and More! New from Traxxas is a realistic Light Kit for the TRX-4 Ford Bronco body. The TRX-4 Bronco has been a huge seller featuring scale looks and the highly capable TRX-4 chassis, watch the video below to see just how cool it looks when sporting a scale light set-up. This kit is designed for the Bronco body specifically, so keep that in mind before you start planning to retrofit a different TRX-4. After watching the video, you can use This Link to get full details on the Bronco, or you can Click Here to read more Traxxas news on BigSquidRC.